In 2007, when the iPhone made its debut, there was little doubt that it would revolutionize the mobile phone industry. But at the time, few imagined that it would spawn a multibillion-­dollar market for mobile applications, and fewer imagined that this market might become a significant one for children. Less than five years later, more than a quarter of all parents have downloaded apps for their children to use, according to a Common Sense Media study. Babies have achieved virtual celebrity for mistaking a magazine for a broken iPad, children now learn to "swipe" before they can tie their shoes, and tweens and teens coveted the iPad over any other gift this holiday season. 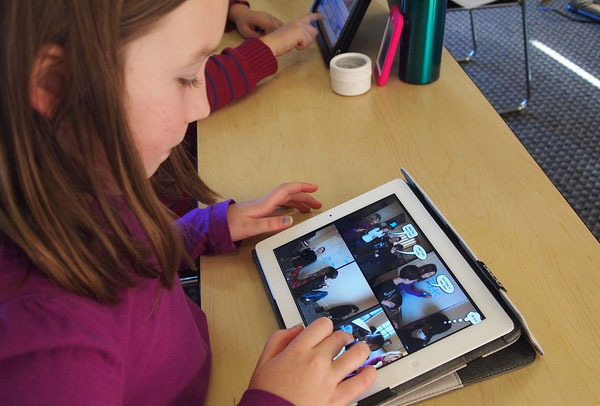 Today's children will benefit if apps become an important force for learning and discovery. This report, iLearn II: An Analysis of the Education Category on Apple's App Store, documents the results of an analysis of the Education category of Apple's App Store, with the goal of understanding the market dynamics, areas of innovation, and emerging opportunities within the market for apps labeled as education. Using the original iLearn study as a benchmark for change, this updated report examines a recent sample of top-selling apps for both the iPad and the iPhone. 1. Apps are an important and growing medium for providing educational content to children, both in terms of their availability and popularity. Over 80% of the top selling paid apps in the Education category of the iTunes Store target children. In 2009, almost half (47%) of the top selling apps targeted preschool or elementary aged children. That number has increased to almost three-­‐quarters (72%). The percentage of apps for children has risen in every age category, accompanied by a decrease in apps for adults. 2. Early learning apps for toddler/preschool are particularly prominent. Developers should consider potential saturation of this market. Apps for toddlers/preschoolers are the most popular age category (58%), and experienced the greatest growth (23%). General early learning is the most popular subject (47%), and there are signiicantly more general early learning apps than the second most popular subject (math, 13%). - The App Store has paid out over $2.5 billion to developers. - Two out of the four top holiday trends according to ToysRUs are related to children owning iPads. 3. Developers should not default to the lowest price point and should consider a fair price‐value proposition. The average price of children’s apps has risen by over $1, but they are still less expensive than those targeting adults. 4. Apps are a significantly different market than television, video games, or toys. Of the entire sample, only two iPhone apps and zero iPad apps were based on well-known, branded characters. One hundred and nine different publishers were represented within the sample; 89 of these publishers were not represented in the sample two years ago. 5. Apps for elementary aged children may represent an important opportunity. While only 20% of the overall sample targets this age group, almost 50% of the top sellers (top 25) target elementary aged kids. A similar trend was noted amongst the preschool set in our 2009 analysis -- subsequently this age group experienced significant growth. Address the app gap. In addition to the traditional digital divide, a new “App Gap” has developed. Ongoing work is required to ensure that the potential benefits of this new medium reach those most in need. Create standards for products marketed as educational. Previous analyses of children’s digital media have identified a lack of standards around marketing products as educational, making it difficult for parent or educators to discern if products live up to their claims (Shuler, 2007). This has been a long-­standing issue in the educational toy and game industry, and perhaps one that can be tackled early in the evolution of the app market. Protect Children from Digital Age Commercialism. The Children's Television Act was put in place to protect children from inappropriate commercialism. This act needs to be updated for a digital age with an emphasis on the app market. In the long term, apps will be better for children, parents and businesses alike if there are policies that protect without hindering creative development and innovation. Consider emerging market dynamics in an update to COPPA. The Federal Trade Commission (FTC) recently released important recommendations for an update to COPPA. However, on the heels of these efforts the leading provider of app analytics disallowed its services to be used by developers of children’s apps, who rely heavily on such analytics to improve their products. As the FTC finalizes its proposed regulation, it should consider potential unintended consequences the policy may have on developers. Enable sustainability and profitability. Consumers need to embrace a new pricing model that will sustain a diversity of developers to build innovative and creative content for children. Discussion of business models must be continued to enable development of apps that are innovative, high quality, educationally effective and sustainable. Set a research agenda. Academia needs to address the rapidly growing app market by setting a research agenda regarding digital age learning. Developers and researchers should work together toward the design of effective, high‐quality products. Read the Joan Ganz Cooney's report, iLearn II, An Analysis of the Education Category in Apple's App Store to learn more.